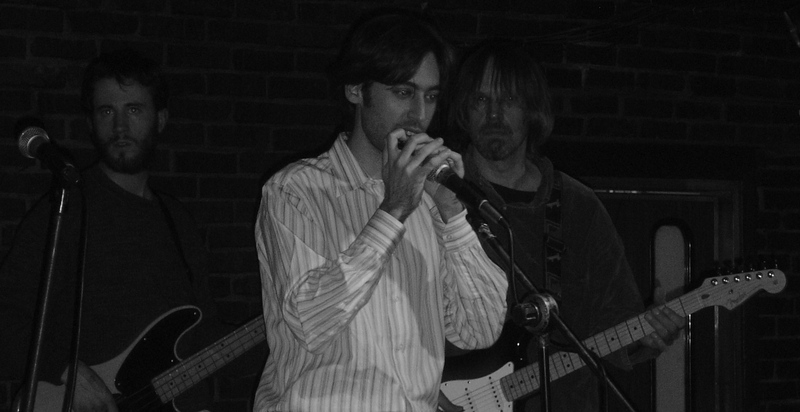 Harp (harmonica) is directly connected to the blues. Muddy Waters, was the guy that inspired me and made me drifting with harp playing… However, harp sounded so exotic to me, since very few blues musicians play harp, as well as, I had never had the chance to come across harp players. However, one day, while I was waiting with Panagiotis for a rehearsal outside a studio, a tall, fat and a little bit aggressive guy approached us and asked what kind of music were we playing. When we said blues, he pulled out his harp and start playing! Well, that was my first harp experience! The whole idea of having a little instrument in my pocket and play the blues wherever and whenever I wanted sounded really exciting! I decided to play the harp! But, it was not at all easy! Initially, I tried to transport guitar blues phrases to the harp. I also tried to find the blues scale in the harp. But, the problem was that the harmonica is not designed like guitar and piano, where one note is followed by its semitone. The way that is designed has to do with german music. So how did I learn? Well, I began with Muddy Waters’ “cant get no grinding” by myself. It has a slow and easy harp motivo that is very educative about harp blues phrases! I was blowing and drawing when I finally played something that was pretty close to that song…The difficulty was in playing in an “wah wah” pattern where you produce the note by changing the air flow with your lips: “bending”. It is a great feeling blowing and drawing in this way…It was in a website where I found how to blow and draw with “bend”.